Both our beginner junior session and the later junior session run to a similar format. We begin with a warmup and stretch session, building young players’ understanding of how to warm up properly and the muscle groups that require stretching. 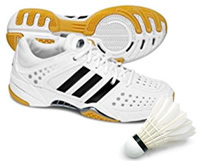 Through both sessions we offer players the opportunity to attempt the Badminton New Zealand incentive awards. These range from the Merit level badge through to Bronze, Silver and Gold awards. Each award has a practical and theory section.